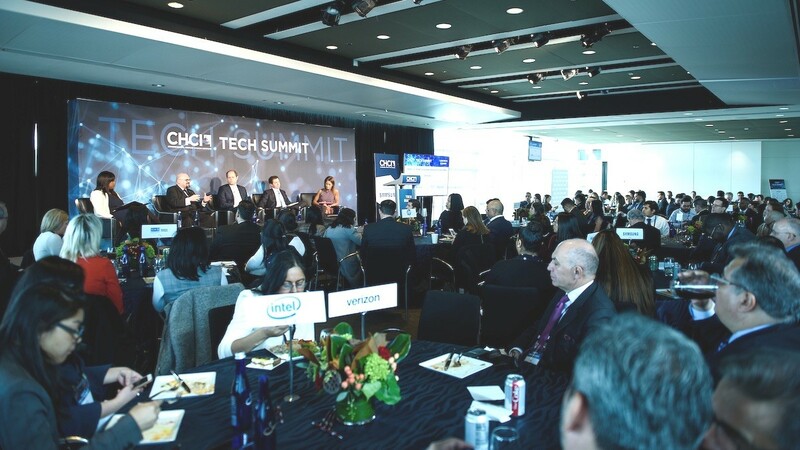 The Congressional Hispanic Caucus Institute (CHCI) hosted the 2018 CHCI Tech Summit at the Newseum in Washington, D.C. on November 28, 2018. The day-long summit convened over 230 guests including Members of Congress, Fortune 500 executives, tech experts, and emerging leaders for high-level discussions and networking. We are grateful to the congressional and industry leaders who took time to support and attend CHCI’s first ever Tech Summit, notably: CHCI Chair Rep. Joaquin Castro, Samsung CEO & President Tim Baxter, CHCI Vice Chair Cristina Antelo, CHCI Board Member Ron Estrada, Insikt Founder & CEO James Gutierrez, Facebook’s Olga Gutierrez, Google’s Laura Marquez, HACR President & CEO Cid Wilson and Charter Communications’ Virginia Zigras. Through candid and insightful conversations, the CHCI Tech Summit explored: the implications of automation on the future workforce; how tech education is bridging the digital divide; recent developments in cybersecurity policy; and best practices in creating a more diverse, inclusive, and equitable tech workforce. The Tech Summit underscored the urgency of bridging the tech skills-gap that prevails in the Latino community, and addressed public-private partnerships that will ensure the jobs of the future include Latino leaders, rather than leave them behind. Tech fluency and empowerment undeniably leads to economic empowerment. CHCI is committed to bringing together experts, along with policy-makers to ensure that our community is prepared for the challenges and the opportunities in the rapidly changing tech industry. We look forward to continued dialogue to ensure our community has a seat at the table and is represented across all industries. 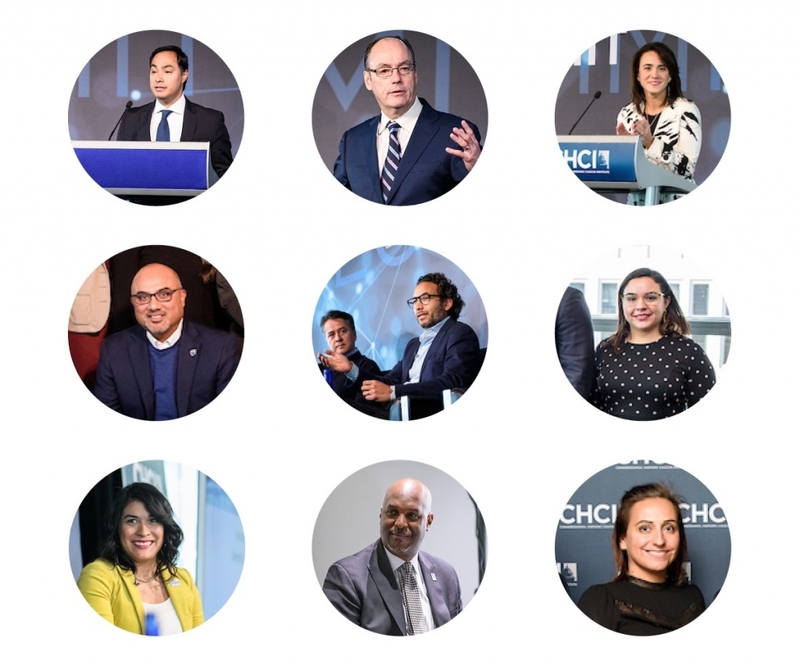 Join us at our next event — the CHCI Health Summit on Thursday, March 14, 2019, from 8:00 am to 3:00 pm, at the Newseum in Washington, D.C.
CHCI Tech Summit speakers included CHCI Chair Rep. Joaquin Castro, Samsung CEO & President Tim Baxter, CHCI Vice Chair Cristina Antelo, CHCI Board Member Ron Estrada, Insikt Founder & CEO James Gutierrez, Facebook’s Olga Gutierrez, Google’s Laura Marquez, HACR President & CEO Cid Wilson and Charter Communications’ Virginia Zigras. Changing America MSNBC Read the full article here. Do You Have Questions About the Electoral Process? Call the Ve y Vota Hotline Today! next post: Apply to CHCI’s 2019 Leadership Programs!